Aim. Definition of loadings in elements of roller forming installations with different driving mechanisms taking into account rigidity and coefficient of dissipation of the transmission gear. Method. Roller forming installations with the recovery driving mechanism on two forming carts, energetically balanced driving mechanism on three forming carts and the balanced driving mechanism on four forming carts are chosen as an object of researches. For each of installations loadings in elements of their designs and the drive are calculated, dependences for definition of efforts in the connecting rods necessary for reduction in back and forth motion of forming carts, and normal reactions of guides of the movement of forming carts to the directing rollers depending on an angle of rotation of cranks are received. For a research of loadings in each of installations the two-mass dynamic model in which power and power characteristics of the driving engine and each of forming carts, rigidity of the driving mechanism and its dissipation are considered is used. Results. For each of installations function of change of necessary torque for ensuring process of consolidation of products of construction mixes taking into account dissipation of the driving mechanism is defined. Rated settlement power on which the electric motor is chosen is determined by average value of the moment of forces of resistance for a cycle of turn of cranks of each of installations, connecting couplings and a reducer are picked up. Using Lagrange's equation of the second sort, for roller forming installation with the recovery, energetically balanced and counterbalanced driving mechanisms, the presented two-mass dynamic model, the differential equations of the movement are worked out. Scientific novelty. As a result of a numerical experiment for each of installations the value of the rigidity of the driving mechanism given to an axis of rotation of cranks at which the minimum loadings in couplings of the driving mechanism are observed is defined. The dependence of the moment is installed in the drive coupling from dissipation coefficient size. Practical significance. The recommended dissipation coefficient size for each of driving mechanisms of roller forming installation is determined. V. M. Garnec, Progresivnі betonoformujuchі agregati і kompleksi [Progressive concrete the forming units and complexes]. Kyiv: Budіvelnik Publ., 1991, [in Ukrainian]. V. M. Garnec, S. V. Zajchenko, Ju. V. Chovnjuk, V. O. Shalenko, Ja. S. Prihodko, Betonoformuval'nі agregati. Konstruktivno-funkcі-onal'nі shemi, princip dіyi, osnovi teorіyi [Concrete the forming units. Constructive and functional to the scheme, principle of action, theory basis]. Kyiv: Іnterservіs Publ., 2015, [in Ukrainian]. V. N. Kuzin, Tehnologija rolikovogo formovanija ploskih izdelij iz melkozernistyh betonov [Technology of roller formation of flat articles from fine-grained concrete]. Avtoref. dis… kand. nauk [Abstract of the thesis of the candidate of science]. Moscow, 1981, [in Russian]. V. T. Rjushin, Issledovanie rabochego processa i razrabotka metodiki rascheta mashin rolikovogo formovanija betonnyh smesej [Research of working process and development of a method of calculation of cars of roller formation of concrete mixes]. Dis…. kandidata tehn. nauk. [Thesis of Candidate of Technical Sciences]. Kyiv, 1986, [in Russian]. І. І. Nazarenko, V. M. Smіrnov, L. Jе. Pelevіn, A. V. Fomіn, A. T. Svіders'kij, O. O. Kostenjuk, M. M. Ruchins'kij, O. P. Djedov, O. M. Garkavenko, І. Ju. Martinjuk, Osnovi teorіi ruhu zemlerijnih і ushhіl'njuval'nih mashin budіndustrії z kerovanimi u chasі optimal'nimi parametrami [Bases of the theory of the movement of the digging and condensing cars of the construction industry with the optimum parameters operated in time]. Kyiv: MP Lesja Publ., 2013. [in Ukrainian]. S. Zaichenko, V. Shalenko, N. Shevchuk, V. Vapnichna, “Development of a geomechanic complex for geotechnical monitoring contour mine groove”, in Eastern-European J. Enterprise Technologies, Vol. 3/9 (87), 2017, pp. 19-25. DOI: 10.155/1729-4061.2017.102067. V. M. Garnec', Ju. V. Chovnjuk, S. V. Zajchenko, V. O. Shalenko. Ja. S. Prihod'ko, “Teorіja і praktika stvorennja betonoformuval'nih agregatіv (BFA)” [“Theory and practice of creation of units of formation of concrete”], Gіrnichі, budіvel'nі, dorozhnі ta melіorativnі mashini [Mining, construction, road and meliorative machines]. No. 83, 2014. pp. 49-54 [in Ukrainian]. V. M. Garnec', S. V. Zajchenko, Ja. S. Prihod'ko V. O. Shalenko, “Rozrobka naukovo-praktichnih rekomendacіj po stvorennju betonoformujuchih agregatіv (BFA)” [“Development of scientific and practical recommendations about creation of units of formation of concrete”], Gіrnichі, budіvel'nі, dorozhnі ta melіorativnі mashini [Mining, construction, road and meliorative machines]. No. 79, 2012. pp. 46-52 [in Ukrainian]. S. V. Zajchenko, S. P. Shevchuk V. M. Garnec', “Energetichnij analіz procesu rolikovogo ushhіl'nennja” [“Power analysis of process of roller consolidation”], Energetika: Ekonomіka, tehnologіja, ekologіja [Power: Economy, technology, ecology]. No. 1 (30), 2012. pp. 77–83 [in Ukrainian]. 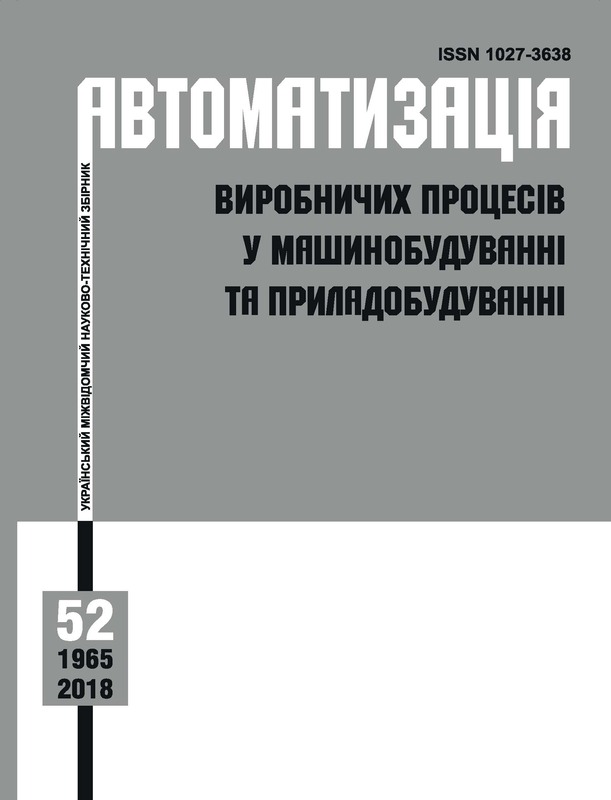 S. V. Zajchenko, S. P. Shevchuk V. M. Garnec', “Trivimіrne modeljuvannja procesu rolikovogo ushhіl'nennja stovburnogo krіplennja” [“Three-dimensional modeling of process of roller consolidation of column fastening”], Gіrnichі, budіvel'nі, dorozhnі ta melіorativnі mashini [Mining, construction, road and meliorative machines]. No. 79, 2012. pp. 40-45 [in Ukrainian]. Ja., S. Prihod'ko V. M. Garnec, “Vzaєmouzgodzhenіst' roboti mehanіzmіv pri roliko-ekstruzіjnomu formuvannі bagatopustotnih virobіv” [“Interconsistency of operation of mechanisms at roller and extrusive formation of multihollow products”], Galuzeve mashinobuduvannja, budіvnictvo [Branch mechanical engineering, construction]. No. 1 (31), 2012. pp. 305–310 [in Ukrainian]. V. S. Lovejkіn, K. І. Pochka, “Viznachennja navantazhen' v elementah rolikovih formuval'nih ustanovok” [“Definition of loadings in elements of roller forming installations”], Zbіrnik naukovih prac' Ukraїns'koi Derzhavnoi akademіi zalіznichnogo transportu [Collection of scientific works of Ukrainian state academy of railway transport]. No. 88, 2008. pp. 15-20 [in Ukrainian]. Installation for formation of products from concrete mixes: рat. 67091 UA, IPC В28В 13/00. Publ. 15.06.2004 [in Ukrainian]. Installation for formation of products from concrete mixes: рat. 70523 UA, IPC В28В 13/00. Publ. 15.10.2004 [in Ukrainian]. Installation for formation of products from concrete mixes: рat. 50032 UA, IPC В28В 13/00. Publ. 25.05.2010 [in Ukrainian]. Installation for formation of products from concrete mixes: рat. 32838 UA, IPC В28В 13/00. Publ. 10.06.2008 [in Ukrainian]. Installation for formation of products from concrete mixes: рat. 7884 UA, IPC В28В 13/00. Publ. 15.07.2005 [in Ukrainian]. V. S. Lovejkіn, K. І. Pochka, “Analіz nerіvnomіrnostі ruhu rolikovoi formovochnoi ustanovki z rekuperacіjnim privodom” [“Analysis of unevenness of the movement of roller forming installation with the recovery drive”], Pіdjomno-transportna tehnіka [Hoisting-and-transport equipment]. No. 4, 2005. pp. 19-33 [in Ukrainian]. I. N. Orlov (Ed. ), Jelektrotehnicheskij spravochnik [Electrotechnical reference book]. Vol. 2. Jelektrotehnicheskie izdelija i ustrojstva [Electrotechnical products and devices]. Moscow: Jenergoatomizdat Publ., 1986, [in Russian]. A. E. Shejnblit, Kursovoe proektirovanie detalej mashin: Ucheb. posobie dlja tehnikumov [Course design of details of cars: Manual for technical schools]. Moscow: Vysshaja shkola Publ., 1991, [in Russian]. Yu. I. Degtyarev, Metody optimizacii [Optimization methods]. Moscow: Sovetskoe radio Publ., 1980, [in Russian]. G. Rekleytis, A. Reyvindran, K. Regsdel, Optimizacija v tehnike [Optimization in the equipment]. In 2 books. Book 1. Translation from English. M.: Mir Publ., 1986, [in Russian].